"Textile name : Kanro (Heisei 25)"
There are many little signs of winter around there and here in this time. In Japanese tea ceremony, we have an event "ro-biraki". Instead of "furo", a portable brazier which we use from spring to autumn, we start to use a fire pit build in the floor, called "ro" and boil the water in "kama", Japanese kettle. There are filled with tense beauty in a Japanese tea room with ro and a flower named "wabisuke" hanging on the wall. Ritto is the time we are excited for heading into winter. 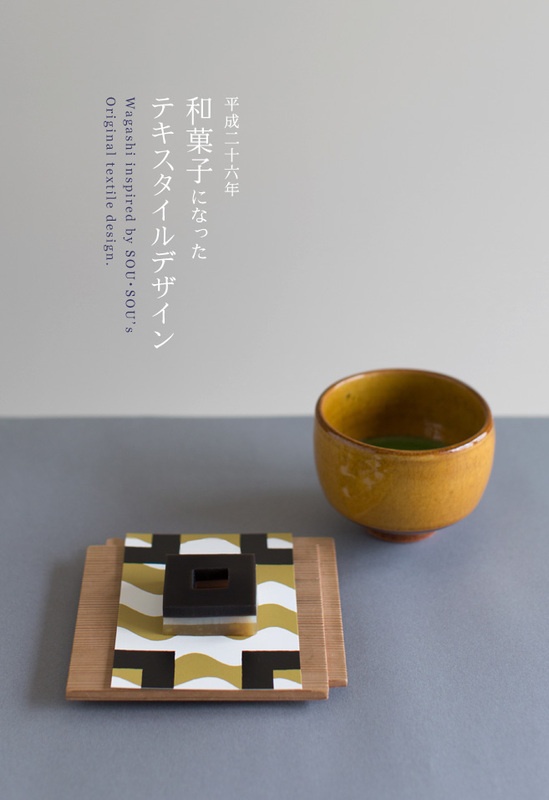 November's textile is designed in the motif of ro which is a kind of hearths used in Japanese tea ceremony. 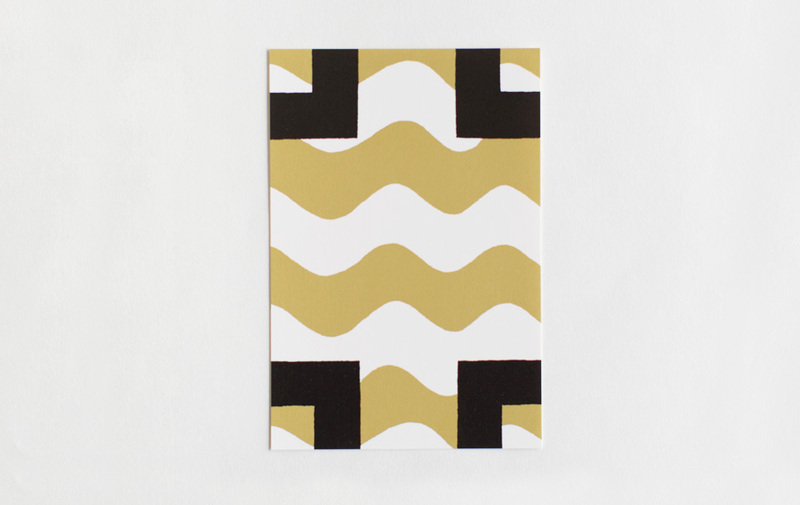 The color combination, black, white, and yellow, is linked to the textile design. 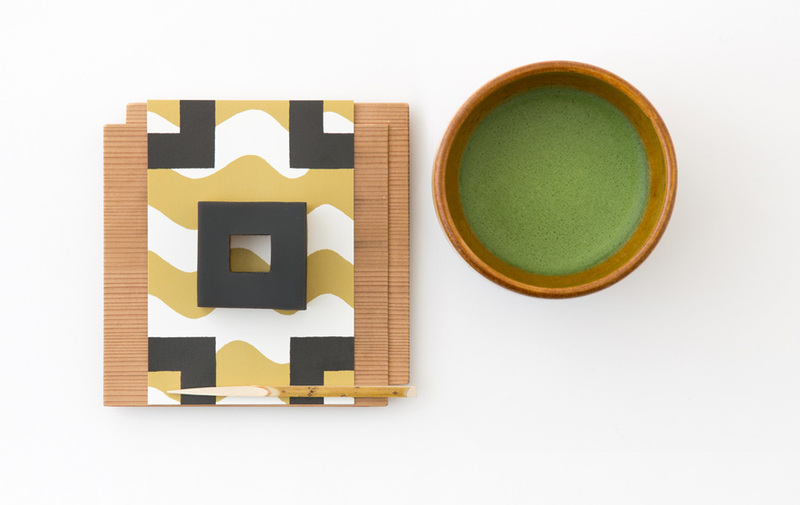 The black square expresses ro-buchi, the edge of the hearth. 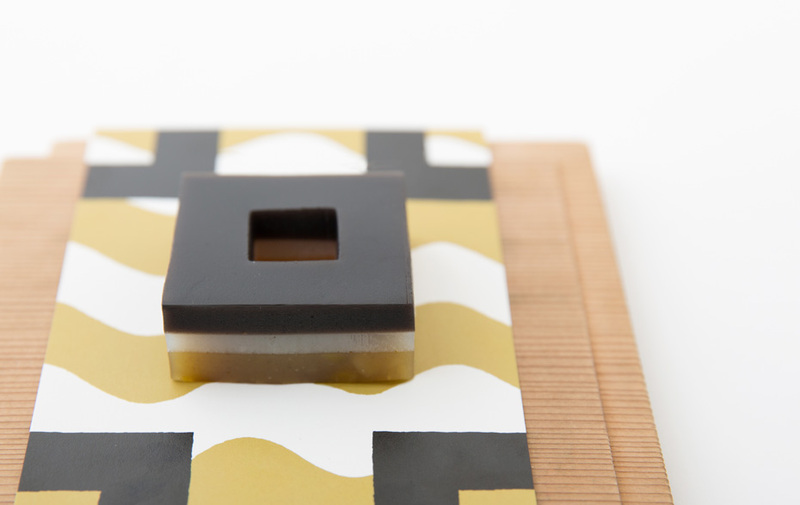 It is made of sweet soy milk jelly with black sesame paste. The white layer in the middle is made of almond taste agar-agar, and the yellow in the bottom consists of sweetened chestnuts paste. Each of three has different taste and makes it flavorful.